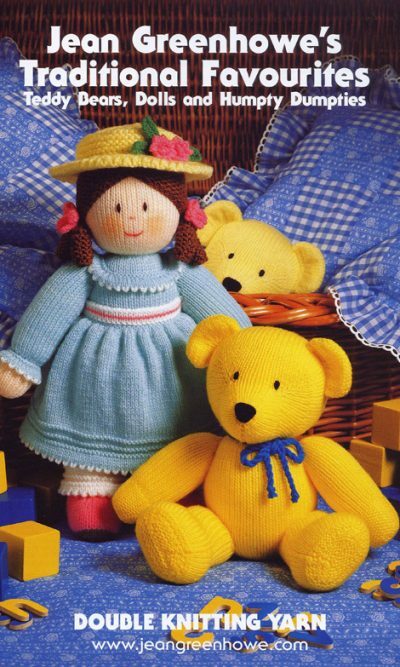 A collection of patterns for knitting toys. 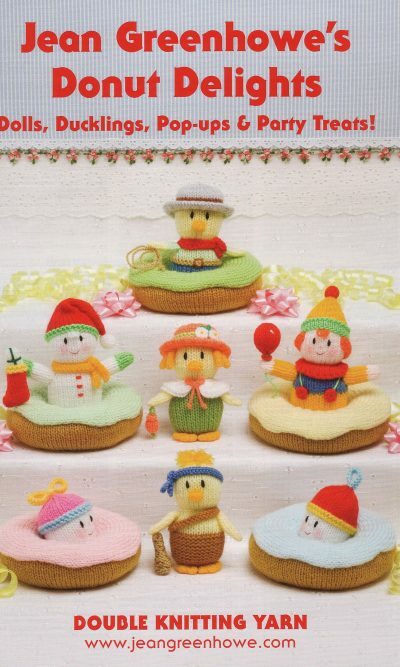 Jean Greenhowe’s knitting booklets for irresistible dolls and toys. Donut Delights ISBN 1-873193-25-4 Jean Greenhowe’s Knitting for Irresistible Dolls and Toys. 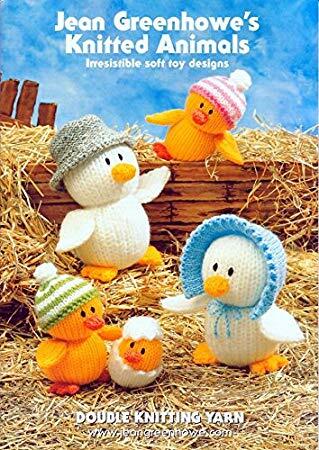 Knitted Animals ISBN 1-873193-05-X Jean Greenhowe’s Knitting for Irresistible Dolls and Toys. Little Gift Dolls ISBN 1-873193-02-5 Jean Greenhowe’s Knitting for Irresistible Dolls and Toys. 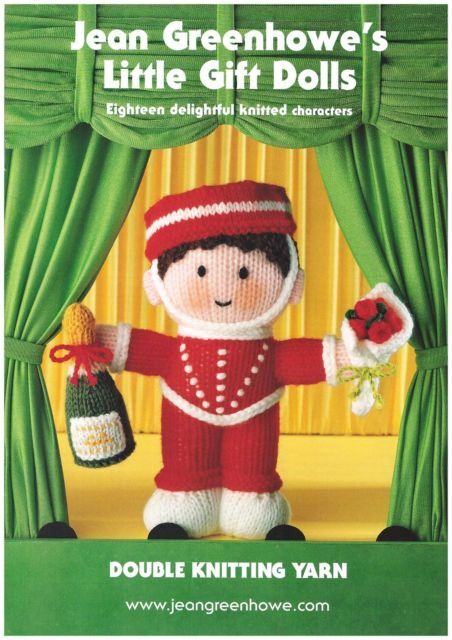 Mascot Dolls ISBN 1-873193-10-6 Jean Greenhowe’s Knitting for Irresistible Dolls and Toys. 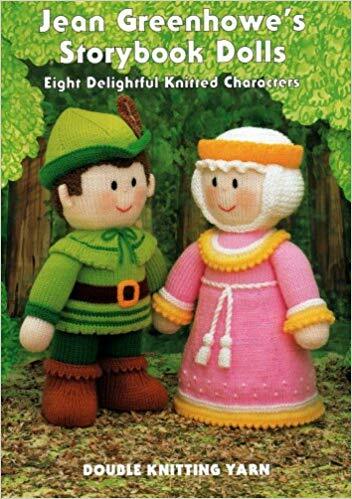 Storybook Dolls ISBN 1-873193-18-1 Jean Greenhowe’s Knitting for Irresistible Dolls and Toys. 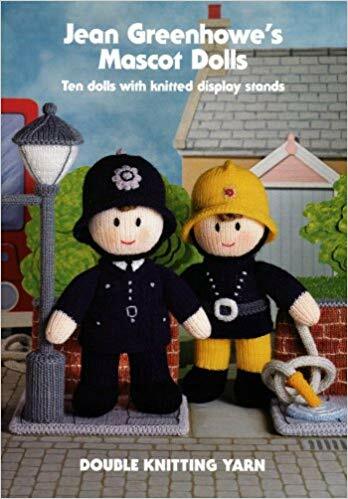 Traditional Favourites ISBN 1-873193-09-2 Jean Greenhowe’s Knitting for Irresistible Dolls and Toys.